For the first time in the history of the ALCI Awards the main prize, the Bog Oak Trophy, was shared by two companies for very different but exceptional projects. 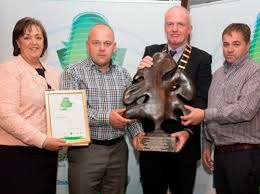 Clive Richardson Limited and SAXA Landscapes walked away with the top prize at the annual event in Dublin. CRL won for their work on the pitch at King Abdullah Stadium, Jeddah, Saudi Arabia. 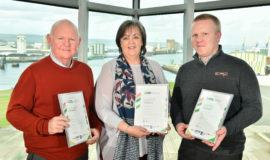 Northern Region judge, Alan Jones said “The legacy of this project – of exemplary integration of design, specification, delivery and training of local staff is a truly fitting calling card for the company and the landscape industry, taking landscape contracting to the highest global standards possible”. The project was designed by Charles Henderson of Professional Sportsturf (NW) Design.